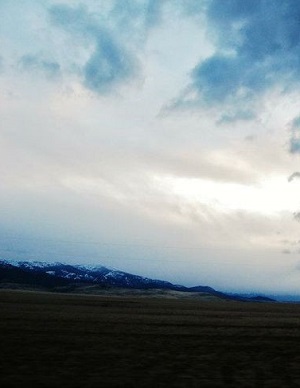 The snow has retreated to mountaintops, wildflowers are blooming and the days are long. 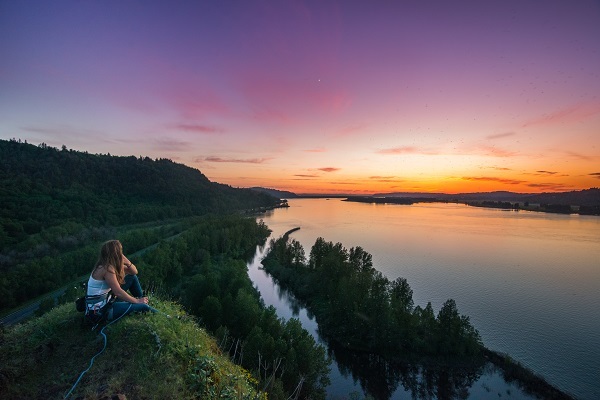 In short, it’s summer—time to grab the hiking gear for a day-trek or backpacking adventure into Oregon’s remote beaches, rainforests, glacier-covered peaks, wild and scenic rivers, painted canyons and vast stretches of high desert. Revel in the state’s biodiversity—marine mammals and birds, soaring raptors and grazing herds of elk, sheep and antelope. Breathe the air from the summit of Strawberry Mountain, hitch up your pants to cross a tributary of the Pacific or peer into the starry skies from your sleeping bag. Take the kids and teach them to walk softly through the rugged and delicate terrain of this state. 1859 culled eight hikes of varied length and difficulty, many in wilderness areas managed by the U.S. Forest Service or U.S. Bureau of Land Management. 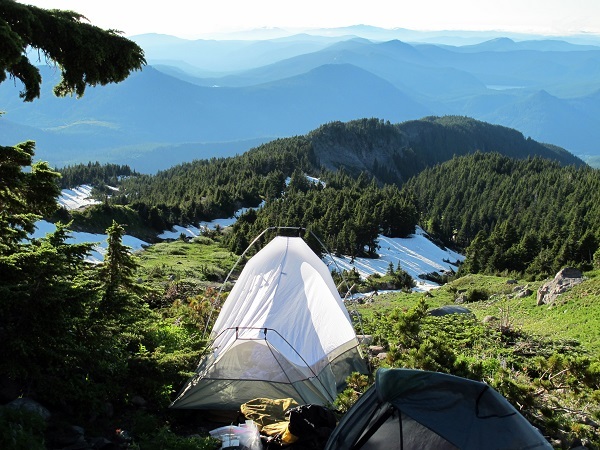 Be sure to check current conditions and restrictions, availability of water and campsites before entering the wilderness or starting a multiday hike. For easy-in, easy-out, the Tam McArthur Trail in Central Oregon can’t be beat. On Elm Street in Sisters, turn south and follow the seventeen-mile road that dead ends at Three Creek Lake. This beautiful gem will be perfect for an afternoon dip when you come down off the eight-mile, out-and-back hike along Tam McArthur Rim to Broken Top. The trail starts from the lake at 6,550 feet and zigzags more than 1,000 feet to Tam McArthur Rim. The pine-scented footpath offers viewpoints of the lakes below. The top spits you out into a volcanic, snow-scrubbed landscape that showcases the spectacle. “This hike leads to a spectacular prize—a clear and close-up view of Oregon’s best known ‘sisters’ and the rest of the ‘family,’” says Tina Wright Raburn of Portland. The plateau of Tam McArthur Rim converges into valleys far below toward Bend and Tumalo Falls (a good bushwhack for hikers with strong navigation skills). The rim offers views from steep cliffs overlooking Three Creek Lake and precipitous drops into the Three Sisters Wilderness to the west and southwest. If you take a dog, the snowfields offer a fun romp, but steer clear of the cliffs. The main trail continues along a narrow rim toward Broken Hand and Broken Top and largely disappears on the final two miles. Turn around at any time; but experienced hikers will enjoy reaching the four-mile point before heading back. Go in mid-summer and early fall to avoid snow. The four-mile section of the Rogue River National Recreation Trail between Marial and Paradise Lodges in the national Wild and Scenic Rogue River Canyon packs a rich hiking experience. It’s dedicated solely to hikers, so there is no stepping aside to let horses and bikes pass. 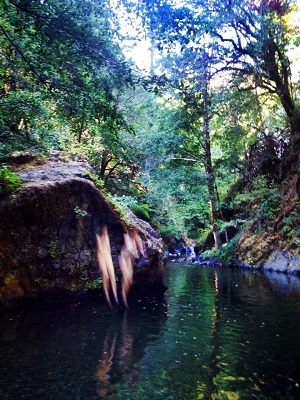 Savor the steep canyon views, and waterfalls that tumble down verdant canyons. Stop to soak your feet in one of several cold tributaries. Binoculars may bring a black bear into focus or put you in the middle of a whitewater raft, sharing the terror (and delight) of careening through Mule Creek Canyon and Blossom Bar—both class IV rapids. “You can be walking along, and bang! You get this really sweet smell. Look around and you’ll find wild azaleas,” said Susie Dericco of Healdsburg, California who hikes the canyon each May. At that time of year, the wild irises, cat’s ears, lilacs and Indian paintbrush color the trail. “The tranquility and views are what keep me coming back year after year,” she said. Hiking boots are the preferred footwear, but Dericco said she’s walked the trail in sandals. 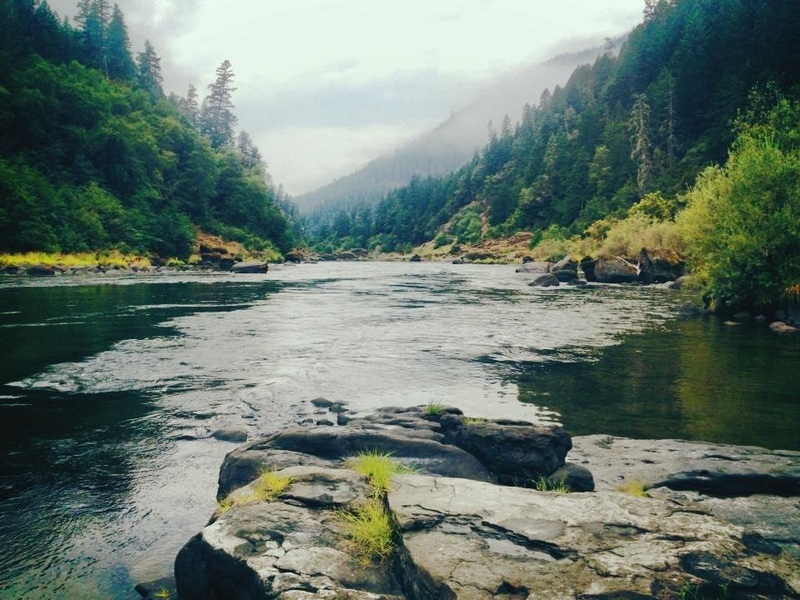 Go the extra mile upstream from Marial to visit the Rogue River Ranch and Museum. This hike is remote, so the trick is getting there. The easiest way is to buy a round-trip ticket on Jerry’s Rogue Jet boat from Gold Beach to Paradise Lodge, and complete the hike upstream to Marial Lodge, returning after you’ve spent a night or two sleeping in a tent or opting for a soft bed at one of the lodges. Both lodges offer home-cooked meals, reservations required. 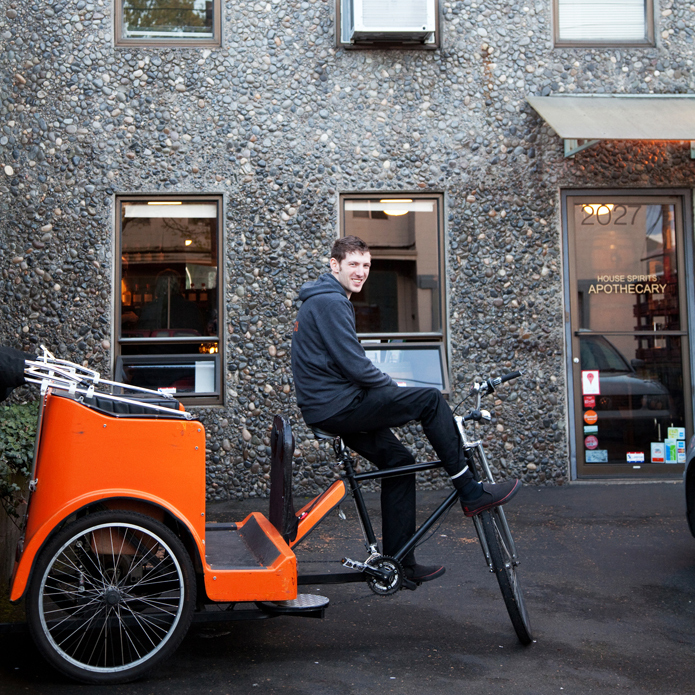 Other transportation options involve a combination of driving a gravel road to Marial (the only road access to the Wild and Scenic portion of the Rogue), shuttling a car to either end of the forty-mile trail or hitching a ride on a raft or jet boat. Primitive campsites lie off the trail but a large spacious campground, exclusively for backpackers, sits between Paradise Creek and Paradise Lodge. 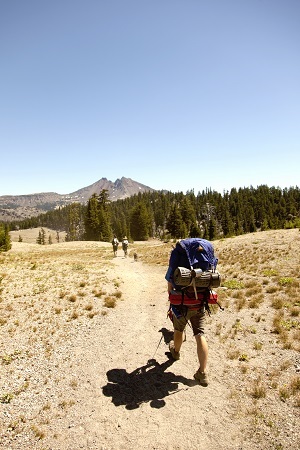 Alpine lakes full of trout, unobstructed views from 9,038-foot Strawberry Mountain, California bighorn sheep, glacial valleys beneath craggy peaks and more than 100 miles of wilderness trails make backpacking in the Strawberry Mountain Wilderness of Eastern Oregon a guilty pleasure. Relatively easy to reach from John Day or Prairie City, this 68,700-acre wilderness is perfect for day-trippers or multiday adventurers. The Strawberry Range, part of the Blue Mountains, is one of the most biodiverse regions in the Northwest. After leaving semi-arid John Day, travelers will climb into dense pine groves, then alpine fir and spruce, and around 7,000 feet, mountain mahogany. Golden eagles, black bears, beavers, cougars and bobcats inhabit this region. Tiffany Farrell described her trips into the Strawberry Wilderness as a beautiful walk high above the valley with huge waterfalls along the way. 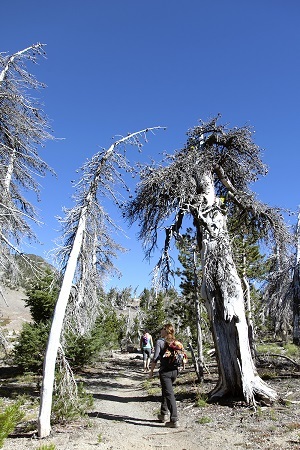 The Bend mother of two said she and her husband, Joe, have taken their young children as far as Strawberry Lake, but past this well-traveled route, it’s best to leave the tots with a sitter. 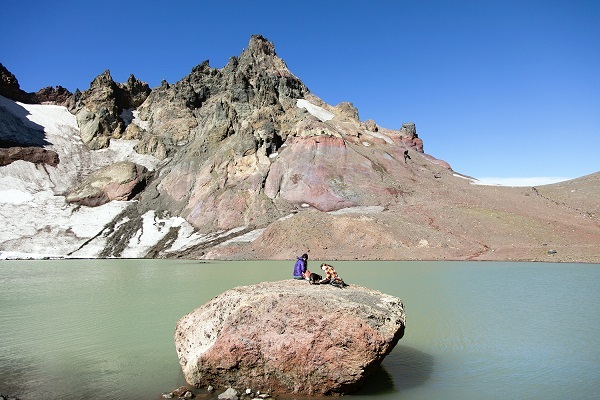 For longer treks, the couple prefers Little Strawberry Lake for solitude and the mountain goats. Eric Amstad with the Malheur National Forest lays out a two-night, twenty-one-mile loop, which includes short excursions to Strawberry Mountain, Little Strawberry Lake and Slide Lakes. Starting at the Slide Connector Trailhead, hike to Slide Lake and set up camp. On day two, the trail passes Mahogany Point, Strawberry Lake, Strawberry Falls (worth the hike alone, says Amstad) and Little Strawberry Lake. Next stop is Red Basin, headwaters for Onion Creek, and a good spot for camping. On the third day, you’ll pass through burn areas on the Onion Creek trail and then summit Strawberry Mountain. From here it’s all downhill back to the trailhead. In the middle of nowhere and the middle of everywhere is the Bull of the Woods Wilderness, close to Portland and Salem in the Mt. Hood National Forest and unknown to most of the state’s residents. These 36,731 acres of river-washed, old-growth backcountry with spotted owls is reached from Highway 22 near Detroit Reservoir or from Estacada on Highway 224 on the north end. Bull of the Woods, logging jargon for the toughest man on the crew, is quintessential west-of-the-Cascades Oregon. Douglas fir, Western hemlocks, sword ferns, vine maples and Pacific yew pack the lower elevations, while steep ridges are more alpine-esque. 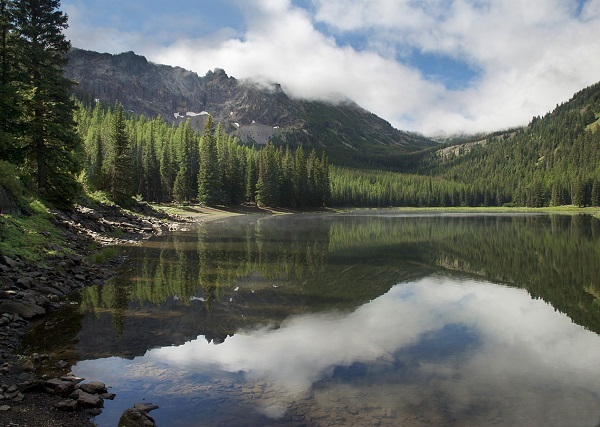 A dozen small lakes—Pansy Lake, Twin Lakes, Elk Lake and Welcome Lakes—are full of trout and, in the early summer, mosquitoes. Rhododendron, huckleberries and wildflowers punctuate the landscape. Backpackers can complete a number of loops in Bull of the Woods, depending on where they start, how far they want to travel and how many days they want to sleep in a tent. 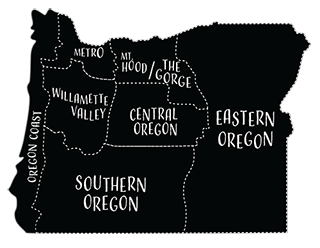 Kathleen Walker of the U.S. Forest Service lays out a ten-mile loop from the Estacada side—drive to the trailhead for Bull of the Woods, navigate south and clockwise to Mother Lode, Pansy Creek and Dickey Lake before looping back to the trailhead. The much longer, twenty-nine-mile loop winds east along Welcome Creek, south toward Elk Lake (the closest point to Detroit), and back north through the Mother Lode. 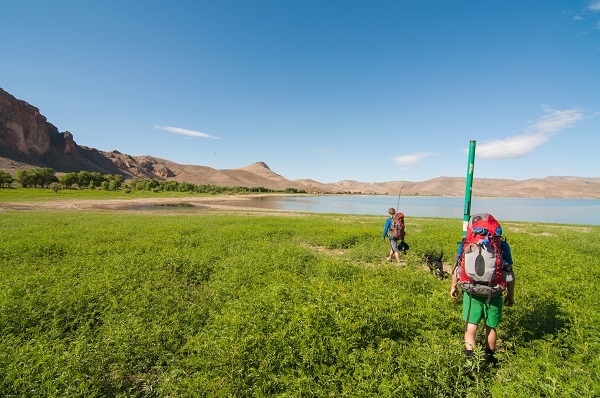 Walker says the shorter itinerary can be done by beginner and intermediate backpackers on a long day-trip or by staying overnight at Pansy Lake. Experienced backpackers can do the longer loop in three to five days. 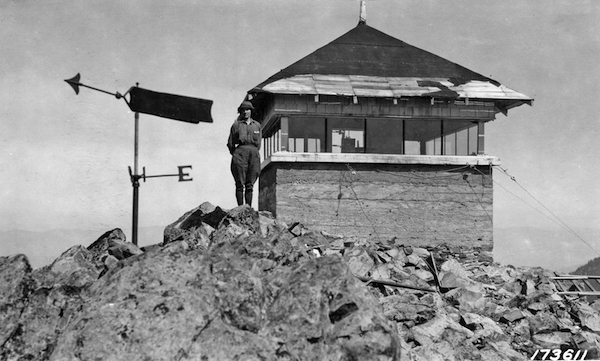 “The historic fire lookout near the end of the Bull of the Woods trail offers great views of Cascade peaks, from the Three Sisters to Mt. Rainier,” said Walker. 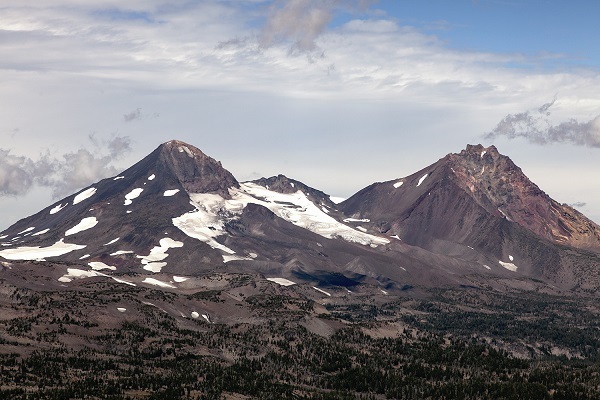 The Timberline Trail Loop around Oregon’s iconic and tallest mountain scores a ten for beauty and diversity but lower marks for feasibility. For backpackers, the biggest challenge along this forty-one-mile multiday trip is a five-mile section between Cloud Cap Saddle and Elk Cove. This section has become tricky after 2006, when heavy rains damaged Eliot Creek and washed away a footbridge. Hike up the ridge towards Eliot glacier and descend into the canyon to cross river and ascend the other side. Over the years, hikers have left trail markers to show the new path. Alternatively, hike up to glacier and skirt the canyon from the high ground. Other challenges include burned sections and stream crossings. 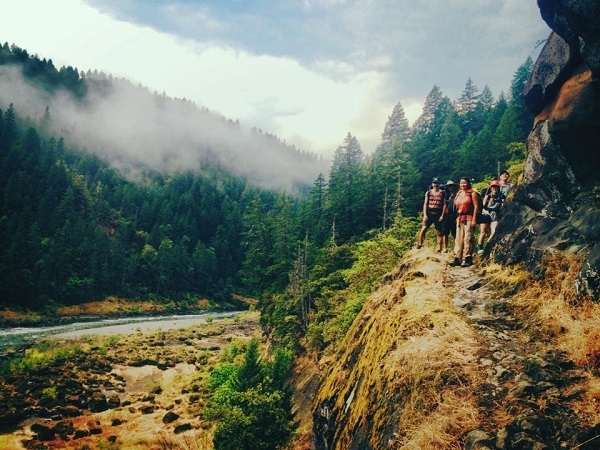 In summer, you’ll share the trail with day-hikers and backpackers from around the world. That said, this footpath built in the 1930s by the Civilian Conservation Corps is worth the effort for hikers in good shape. The trail meanders in and out of the timberline—with steep snowfields, wildflower-infused meadows and the 11,240-foot summit above, timbered forests below. Trekkers pass by three ski areas, the Cloud Cap Inn (the oldest building on Mt. Hood), Ramona Falls and overlap with the Pacific Crest Trail. Expect several thousand feet of elevation gain and loss. Susan Brun, a wilderness ranger with the Mt. Hood National Forest, said to look for migratory hawks at McNeil Point in an old-growth hemlock grove near Mt. Hood Meadows and elk at Elk Meadows. Backpackers can circumvent the mountain in three to four days. There are established campsites on the loop, including those near a couple of shelters. Trekkers along the thirty-mile segment of the Oregon Coast Trail between Bandon and Port Orford, where the ocean meets the land, will find themselves yielding to a higher power. This hike is both magnificent and frustratingly difficult to negotiate when rivers and tides run high. In addition to the usual backpacking equipment, you’ll want hiking boots, water sandals, a tide table and the fortune of a high pressure front. The rewards, however, are many. “Odds are, you’ll do the entire hike and never run into another soul,” said Steve Dimock, owner of La Kris Inn in Bandon. 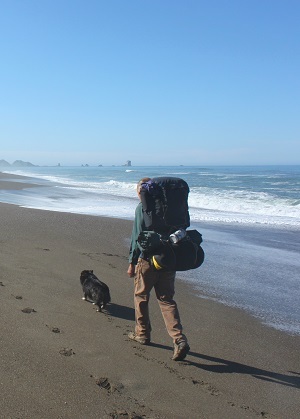 “It’s a very serene, private kind of environment, but if a person needs to get out, it’s an easy exit at virtually any point along the trail.” He suggested camping at Cape Blanco State Park or at primitive sites at Blacklock Point. Not a difficult hike per se, this trek is best done by backpackers who are comfortable with water crossings and who have a healthy reverence for the ocean. 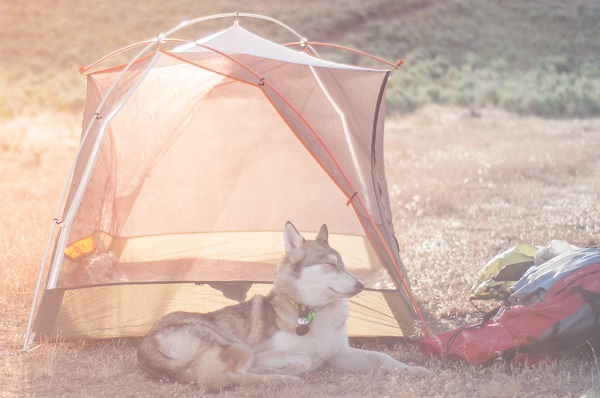 Exhausted hikers have been known to pitch their tent before checking the tide table for the high tide, with wet consequences. The distance can be covered in two days but three or four would be more enjoyable. You’ll have to shuttle a car or take the Coastal Express bus service between Bandon and Port Orford, which runs several times a day, Monday through Friday. The two-million-acre Owyhee Canyonlands in southeast Oregon is the largest unprotected stretch in the American West. Indigenous tribes wandered this region for thousands of years, leaving behind ancient campsites, weapons and stone tools. Today’s visitors include big game and upland bird hunters, anglers, and a sprinkling of avid hikers and backpackers seeking solitude in wide expanses of sagebrush, 1,500-foot red-rock canyons, hoodoos and dry river gulches. 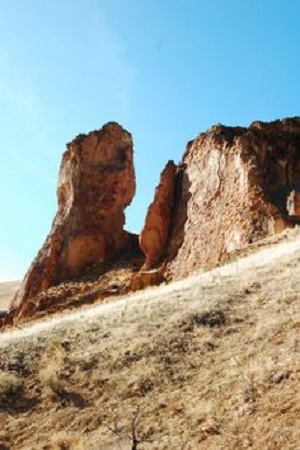 Soaring golden eagles and hawks, North America’s largest herd of California bighorn sheep, imperiled sage grouse, antelope and twenty-eight plant species unique to the Owyhee enliven this wilderness. “Every time I go into the Owyhee Canyonlands, I wonder, how is this not a national park,” said Brent Fenty, executive director of the Oregon Natural Desert Association, a nonprofit dedicated to preserving Oregon’s high desert. The trail pieces together existing hiking paths, dirt roads and cross-country sections where route-finding tools, such as maps, a compass and GPS are recommended. Plan to spend three or four nights, with a shuttle required at either end. Spring and fall are the best times to hike this section, with water available to pump at a number of springs. The Eagle Creek-Tanner Creek trail showcases the Columbia River Gorge in lavish splendor. Mossy rainforests, basalt cliffs, abundant waterfalls, suspension bridges and flowering meadows are sheer backpacking bliss, but don’t expect solitude. 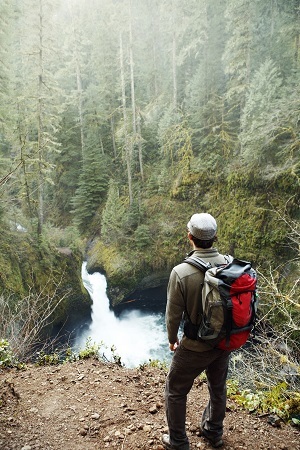 The Eagle Creek portion of the trail is one of the most popular hikes in the Gorge. While the Eagle Creek trail is heavily traveled, Tanner Creek is not. The Eagle Creek-Eagle Tanner trail is well into the Mark O. Hatfield Wilderness area on steep, rocky trails. Edan Lira, a ranger with the Columbia River Gorge National Scenic Area, advises backpackers to carry maps and other route-finding tools, and leave their itinerary with a friend or relative, in case they lose their way. Until recently, the Tanner trail system had not been well maintained. This is a difficult backpacking trip best done by the fit and intrepid. At least a dozen primitive campsites are spread along the twenty-three miles. Lira suggests the campsites on Dublin Lake off the Tanner Butte trail. The endpoint is the Tooth Rock trailhead, where backpackers will have to hoof it back a mile to their cars. I want to show appreciation to the wrteir just for rescuing me from this predicament. Because of checking throughout the internet and getting views that were not pleasant, I thought my life was done. Existing without the presence of answers to the issues you've resolved by way of your main post is a critical case, and ones that might have adversely damaged my career if I had not come across your blog post. Your good skills and kindness in controlling all things was excellent. I don't know what I would've done if I hadn't come across such a thing like this. I can also at this point relish my future. Thanks for your time very much for the high quality and amazing help. I won't be reluctant to propose the website to any individual who should have guide about this situation. I've been to Strawberry Lake many times and up to the Falls once. My relatives have a cabin up Dixie Creek where we all go for family reunions or just my daughter and I to enjoy being alone without electricity, phone or TV. But while we're up there we always make it up to Strawberry Lake, a truly fantastic place to see.